Cabinets and countertops are the most visually striking aspect of a kitchen. 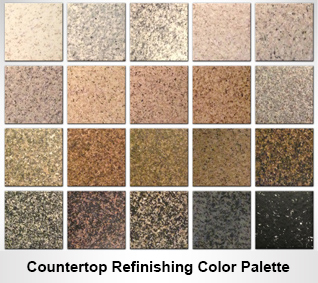 Trends and individual taste in cabinet and / or countertop colors change over time, making our available services a perfect partner to achieve your desired look. Completely redoing a kitchen, however, can be a massive (and expensive) undertaking. 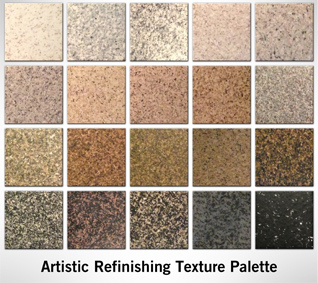 At Artistic Refinishing, we offer a more cost affordable solution that doesn’t sacrifice quality. Our motto is, “Why replace when it can be reglazed?” Whether it is custom wood cabinetry, formica, or therma foil, we can provide a sprayed on factory like finish. With an A+ BBB rating and over 30 years of experience, we help to improve kitchens throughout South Florida, making them more beautiful, more functional and healthier, without the time or financial investment typically associated with completely revamping a kitchen. If your kitchen is functional, but could be neater and more up to date, Artistic Refinishing can help you achieve the kitchen you visualize. We use smooth, durable finishes which are aesthetically pleasing, and are also non-porous. That means wiping up the inevitable spills is a snap. If your counter tops have been chipped, stained, or burned, we can restore and repair them, making them look like new. To update kitchen cabinets, we can apply finishes in any solid color, making them more durable, more resistant to the heat and humidity in Florida, and give a bright new look to your kitchen. For raised or reverse panel cabinets, we can also use a hand applied glaze which creates a shadowed effect, making your kitchen cabinets stand out even more. If you are considering reglazing or refinishing your kitchen in Southeast Florida, reach out to Artistic Refinishing. We have worked in the area for years and understand the needs and desires of both the Southeast Florida climate, and our customers. We are available to answer questions at any point in the process; we want our customers to be fully satisfied with the results. We know that kitchens sometimes need to be revitalized, and we are here to help you make your kitchen the centerpiece of your home. Contact us today to get a free quote and feel free to ask any questions you might have about the process.